A bagel which is usually made from whole eggs or egg yolk in addition to dough which contains flour, salt, water and yeast is known as egg bagels. 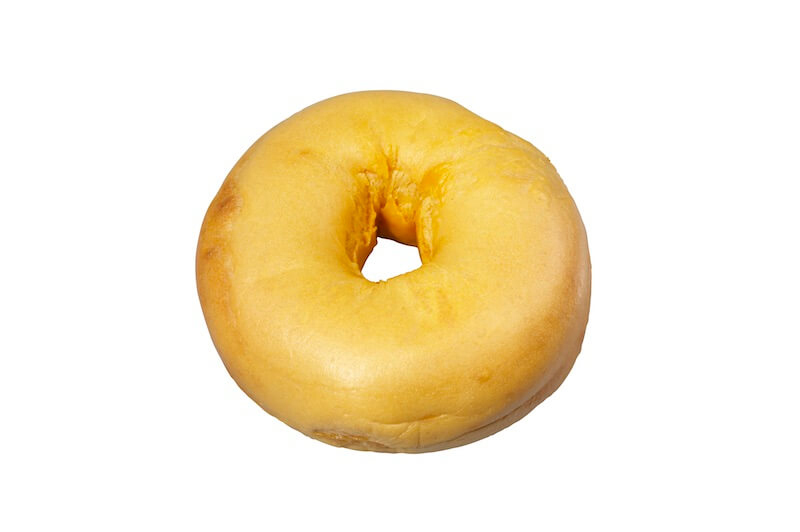 The bagels get yellow tint from egg which distinguishes it from other bagels. All the bagels are made with dough of flour, salt, yeast and sweetener such as honey or malt syrup. 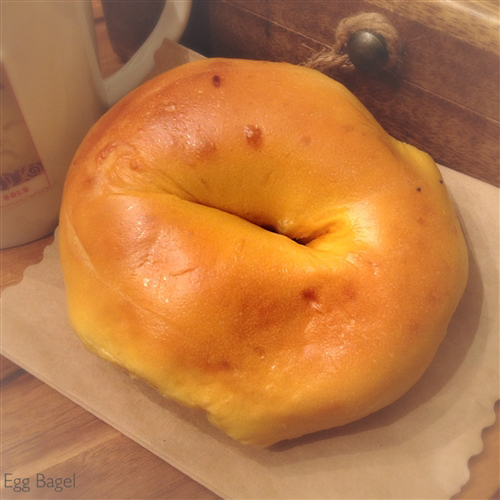 Egg bagels have slightly sweeter taste and softer texture. 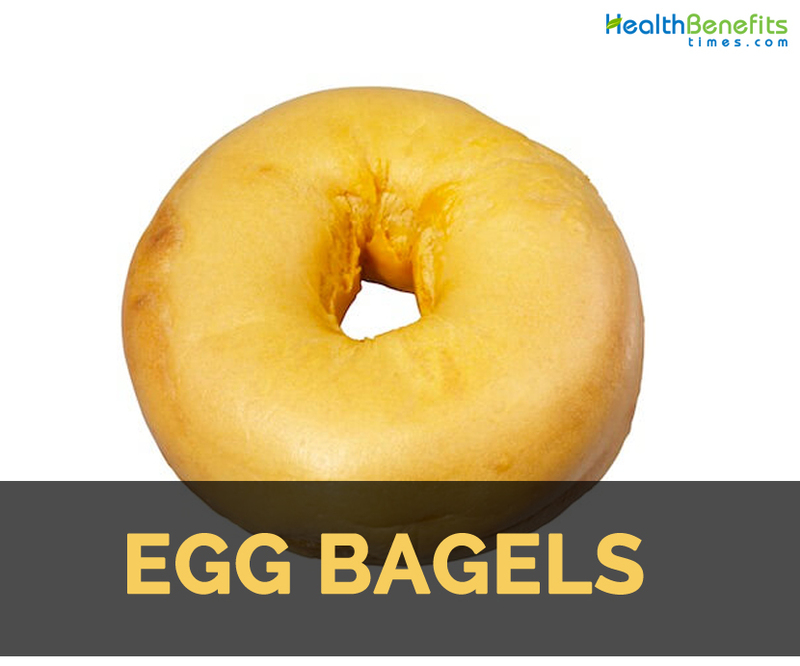 As egg bagels possess eggs, it is an excellent source of protein, Vitamin A, iron and Vitamin B12. The folklore of bagel convey us the message that roll was conceived as a tribute to a Polish general, Jan Sobieski who was the one to save Vienna from invading Turks in 1683. When the triumphant hero moved through town, townspeople attached to his stirrups known as breugels. As a tribute, the king has bread in the shape of Sobieski’s stirrups. 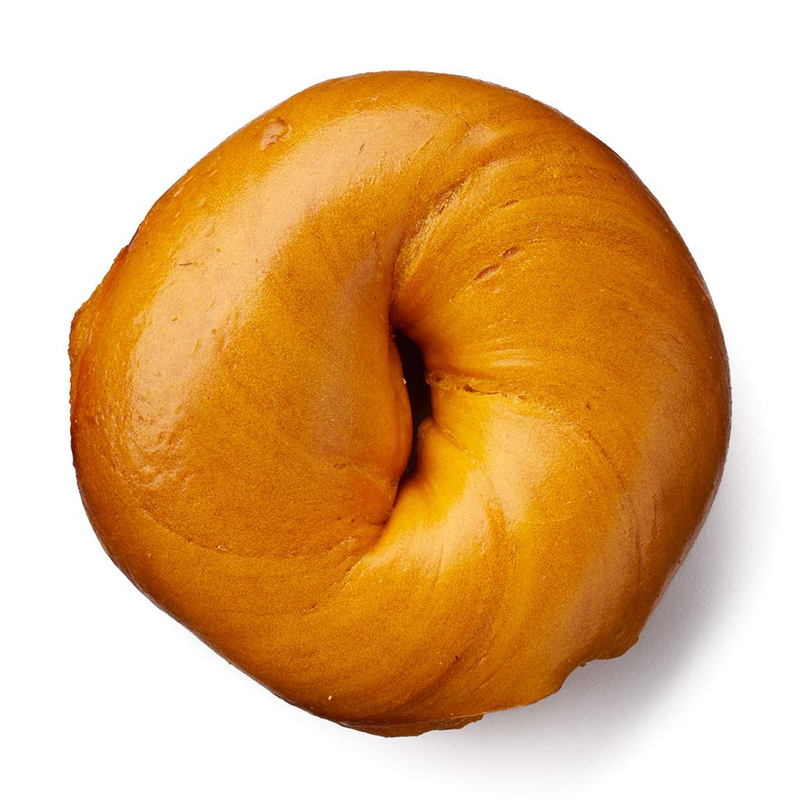 The stirrup shaped breugel became round and was known as bagel. Another stories illustrated that the term comes from beigen which is a German word that refers to bend and is a descendant of pretzel. The round hole was believed to be perfect for Polish and Russian bakers to skewer them on long pole and to walk the streets to sell their fresh bread. By 1915, Eastern European immigrants brought skills as bagel bakers to New World and formed bakers union in New York City. 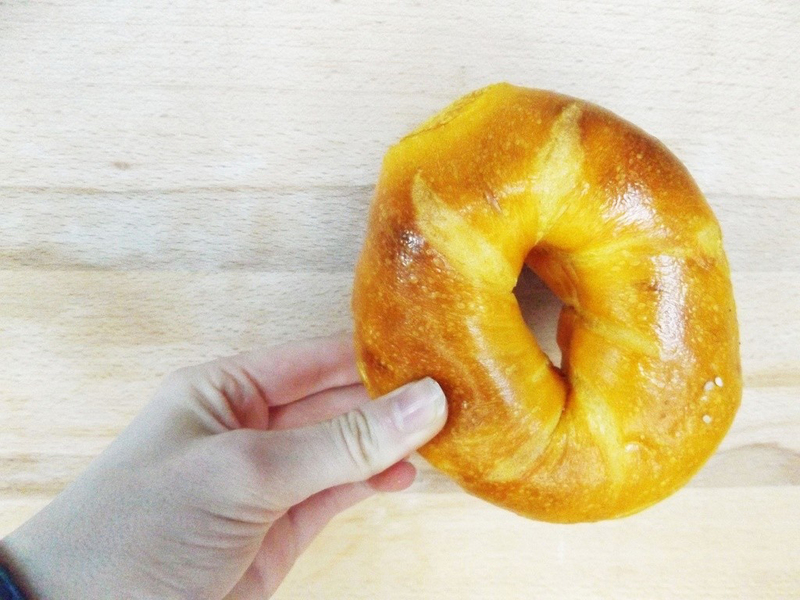 Some bagel bakers began to bake bagels in East Coast when they moved out of the city. A Polish immigrant, Harry Lender found interest in bagel then with his son Murray, he baked bagels in much quantity and packaged to sage in supermarkets. Dan Thompson invented first machine to make bagels in 1960. All the bagels were rolled by hand till that time. Then the lenders baked and freeze bagels and distributed it nationally by 1962. Bagels slowly gained popularity throughout 1960s and 1970s. Bagels are made from dough of flour, salt, yeast and sweetener. Egg bagels only add egg to the dough. 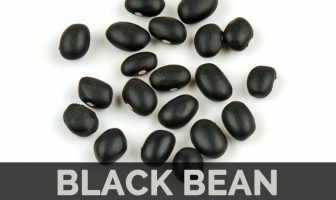 It is a great source of iron, protein, vitamin A and B12. With an addition of egg, the macronutrients found in egg bagels are similar to wheat, oat bran bagels and cinnamon raisin. A large egg bagel offers 364 calories and 69 grams of carbohydrates. It provides 3 grams of fiber and 14 grams of protein. Men could get 25% of daily recommended value of protein and 8 percent fiber. Women could achieve 12 percent of fiber and 30 percent of daily protein. Egg bagels have low content of total as well as saturated fats. One bagel (large) provides 31 milligrams of cholesterol. Cinnamon raisin, wheat and oat bran bagels do not possess cholesterol. Generally the daily cholesterol should not exceed 300 milligrams. It is recommended to consume less than 200 milligrams for those having cardiovascular disease and high cholesterol. The deficiency of iron, the tissues of body would not get oxygen and the immune system starts to weaken. Iron assist cells growth that combats viruses. An egg bagel contains 5 milligrams of iron. Men requires 8 milligrams of iron each day so one egg bagel provides 62 percent of daily recommended allowance. Women who are under 51 require 18 milligrams of iron regularly. An egg bagel provides 28 percent of daily recommended intake. About 8 milligrams of iron is required for the women regularly who exceed 51. Intake of more than 45 milligrams regularly makes the iron to become toxic. Eggs provide vitamin A and Vitamin B12 which are essential vitamins. 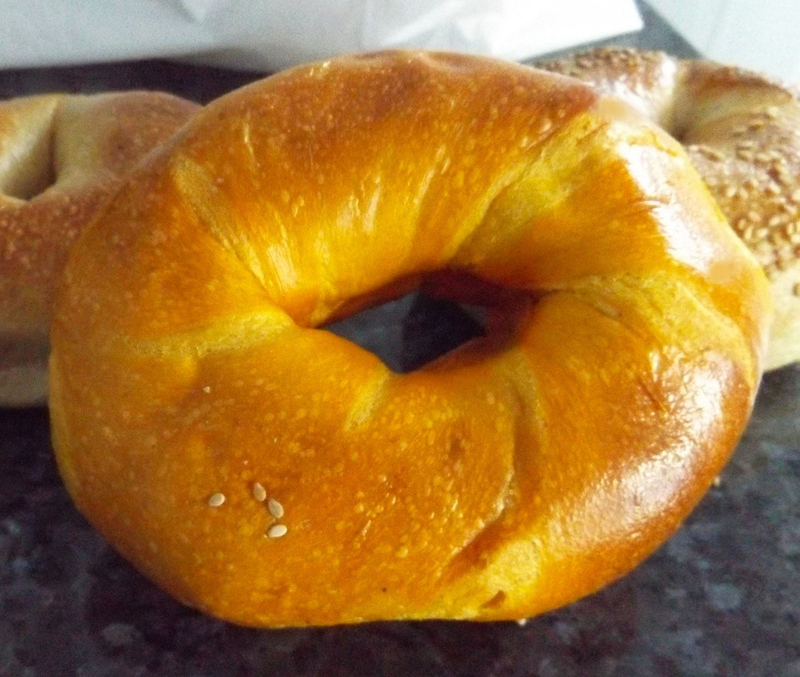 Bagels contain small content of Vitamin A but do not possess vitamin B12. An egg bagel grants 0.2 micrograms of Vitamin B12 which is 9 percent of daily recommended value. It also provides 42 micrograms of Vitamin A i.e. 6 percent of women’s and 5 percent of men’s daily allowance. Toast it with cream cheese. Egg bagel are consumed fresh and also split to make a sandwich. Halved egg bagel and toast it. Eat in its own or add jam to it and have it for breakfast. High consumption of Egg bagels lead to gain weight. Limit the intake to reap maximum health benefits. Those who are allergic to eggs or flour such as wheat should avoid it. Put bagels in a plastic or paper bag and store it at room temperature. Do not leave it in direct sunlight. This helps to store bagels overnight. Refrigerate bagels in a sealed container or plastic bag. Do not put warm or hot bagels in plastic bag. This stores them for two to three days. Refrigerate bagels to keep slightly fresh but freezing is the best way to provide optimal freshness. How to make Egg Bagels? To a mixer bowl, put the flour and add ½ cup of lukewarm water. On the top, sprinkle yeast and add 1 teaspoon of sugar. Let it remain for 10 minutes till the yeast becomes foamy. Then add 2 teaspoons sugar, oil, three eggs, ½ cup+ 2 tablespoons of water and salt to the center of flour. Combine it with a wooden spoon till ingredients come together to dough. Knead dough for about 10 minutes on a work surface or till it becomes very smooth. Transfer dough in a clean oiled bowl by covering it with damp cloth and let rise about 1 hour in a warm place. Shape bagels. Heat oven to 400°F. 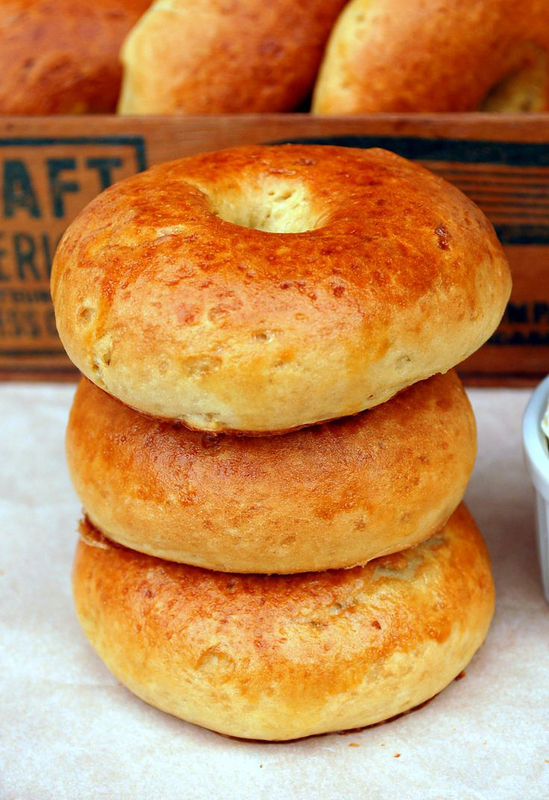 In order to boil bagels, boil 2 quarts water and 1½ tablespoons of sugar in a large saucepan. Then add 3-4 bagels and boil it for around 1 minute. Turn them and boil for one minute. If holes start to close, open with the use of handle of a wooden spoon. Transfer with a slotted spoon to a cloth or paper towels. Repeat it with other bagels. Place bagels on 2/3 lightly floured or baking sheets being greased. By adding a pinch of salt, beat remaining egg. Brush it over bagels. Sprinkle seeds. Bake these bagels for about 20 minutes or till it becomes browned. Then cool them on a rack and wrap it. Calories in 1 medium bagel (3-1/2″ to 4″ dia), 105 g 292 Kcal. Calories 292 Kcal. Calories from Fat 19.89 Kcal.